An Indian domain investor has successfully defended his domain, Digel.com, against the German Complainant. Digel Aktiengesellschaft of Nagold, Germany, filed the UDRP at the WIPO, after turning down the registrant’s asking price of $29,000 dollars. Their offer was $12,000 dollars. According to the UDRP, the Complainant says that it was founded in 1939 and that “Digel” has been used as its firm name since at least 1941. Its DIGEL trade mark is now in use in more than 40 countries and its Digel products are available in more than 3,000 shops. Antony Gold, sole panelist at the WIPO, found no bad faith in the registration or use of Digel.com and ordered the domain to remain with the Respondent. The Respondent is Vinay Shan of Gurgaon, India, represented by Cylaw Solutions, India. The disputed domain name <digel.com> is registered with BigRock Solutions Pvt Ltd. (the “Registrar”). The Complaint was filed with the WIPO Arbitration and Mediation Center (the “Center”) on June 14, 2018. On June 14, 2018, the Center transmitted by email to the Registrar a request for registrar verification in connection with the disputed domain name. On June 15, 2018, the Registrar transmitted by email to the Center its verification response confirming that the Respondent is listed as the registrant and providing the contact details. In accordance with the Rules, paragraphs 2 and 4, the Center formally notified the Respondent of the Complaint, and the proceedings commenced on June 18, 2018. In accordance with the Rules, paragraph 5, the due date for Response was July 8, 2018. On June 26, 2018, the Respondent requested the automatic four-day extension of the deadline to file a Response under paragraph 5(b) of the Rules. The Center granted the requested extension and confirmed that the new deadline for Response was July 12, 2018. The Response was filed with the Center on July 12, 2018. The Center appointed Antony Gold as the sole panelist in this matter on July 26, 2018. The Panel finds that it was properly constituted. The Panel has submitted the Statement of Acceptance and Declaration of Impartiality and Independence, as required by the Center to ensure compliance with the Rules, paragraph 7. The Complainant produces high-quality menswear. It was founded in 1939 in Nagold, Germany and now has about 300 employees. The Complainant owns a number of trade mark registrations for DIGEL in various classes relevant to its activities including class 25 (clothing) and class 18 (leather bags, wallets and purses). Its registrations include, by way of example only, European Union Trade Mark registration no. 000043885 for DIGEL in class 25, registered on June 19, 1998. The Complainant also owns a domain name, <digel.de>, which resolves to a website promoting its products. The Complainant says that it was founded in 1939 and that “Digel” has been used as its firm name since at least 1941. Its DIGEL trade mark is now in use in more than 40 countries and its Digel products are available in more than 3,000 shops. It has a portfolio of twelve DIGEL trade marks, details of which have been provided as part of the Complaint. The disputed domain name is therefore identical to a trade mark in which it has rights. The Complainant asserts that the Respondent has no rights or legitimate interests in respect of the disputed domain name. There is no evidence, before any notice to the Respondent of the dispute, of the Respondent’s use of, or demonstrable preparations to use, the disputed domain name, or a name corresponding to it, in connection with a bona fide offering of goods and services. To the best of the Complainant’s knowledge, the Respondent does not own any trade mark registrations or trade mark applications or other rights in DIGEL. Furthermore, to the Complainant’s knowledge, the Respondent has not been commonly known by the disputed domain name. Lastly, the Complainant says that the disputed domain name was registered and is being used in bad faith. The disputed domain name was registered or acquired primarily for the purpose of selling, renting or otherwise transferring the registration to the Complainant or to a competitor of the Complainant for valuable consideration in excess of the Respondent’s out-of-pocket costs directly related to the disputed domain name.  On March 2, 2018 the Complainant’s representative sent an email expressing interest in the disputed domain name and offering to pay a reasonable price for it. The Respondent’s representative replied indicating that the Respondent had paid a lot for the disputed domain name and the price would have to be well into five figures. The negotiations between the parties became deadlocked and no agreement was reached. Presently, the disputed domain name is offered for sale for a purchase price of EUR 47,169. This sum far exceeds the Respondent’s out-of-pocket costs directly related to the disputed domain name. The Respondent says that he works for a company based in the USA helping with the monetization of domain names. It is that company, Level2 LLC, which owns the disputed domain name. The Respondent was temporarily shown as the registrant and, due to an administrative error, the WhoIs details were not changed back to show Level2 LLC as the registrant1. The Respondent say that, since 2003, it has registered hundreds of common word domain names for investment and development and that speculating in domain names is a lawful business model. A sworn declaration from the owner of Level2 LLC, Derek Hof, has been appended to the Response. Mr. Hof says that he registered the disputed domain name in 2006 under the name of his (then) company, W7 Media because “Digel” was the last name of many individuals around the world and the disputed domain name had inherent value for this reason. Mr. Hof says that he did not register the disputed domain name with the Complainant’s trade mark in mind and that he had no knowledge of the Complainant, its web site or trade mark as at the date of registration. Moreover, the Respondent has registered many other domain names which correspond to personal last names; this establishes that the disputed domain name was not registered by the Respondent with another party’s trade mark in mind. The disputed domain name was registered in 2006, almost 10 years before the Complainant’s trade mark was registered in the USA or Canada, and it is therefore unsurprising that the Respondent had not encountered it. Moreover, the Complainant has not produced any evidence to substantiate its claim of reputation in jurisdictions around the world. Whilst, as at 2006, the Complainant may have been known in Germany, there is no evidence to show that it was known in the USA or Canada at that time. In particular, the Complainant has not produced any evidence of the value of its sales, before or after 2006, nor any details of its advertising spend nor any information concerning the extent of use of its trade mark. To the extent that the Complainant has rights in DIGEL, such rights are plainly non-exclusive. “Digel” is a common last name for many individuals. For example, Facebook shows several hundred individuals whose last name is Digel. There is also a liquid called DI-GEL and there are a number of businesses around the world who use DIGEL as their brand name. In addition, <digel.in>, <digel.net> and <digel.org> have each been registered by businesses or individuals, as has <digel.it>. DIGEL has been registered as a domain name by third parties in approximately 40 different generic Top-Level Domains (“gTLDs”). Furthermore, DIGEL had been registered by another party as a trade mark in the USA and Canada, prior to the Complainant’s application for marks in those countries in 2015. Conversely, the Complainant has not attempted to register <digel.us> and <digel.ca> has been registered by another party but does not resolve to an active website. In considering whether the Respondent should be found to have rights or a legitimate interest in the disputed domain name, decisions under the Policy, such as Virgin Enterprises Limited v. Domain Admin/This Domain is for Sale, Hugedomains.co, WIPO Case No. D2017-1961, establish that the business of registering domain names for the purposes of sale can be legitimate and is not in breach of the Policy so long as it does not encroach on third party trade mark rights. The Complainant has not submitted any evidence that the Respondent has engaged in registering domain names which take advantage of the Complainant’s or third parties’ trade mark rights. In Deep Focus Inc. v. Doman Admin, Abstract Holdings International LTD, WIPO Case No. D2018-0518, the panel held that, if a party legitimately registered a domain name comprising commonplace or dictionary elements, without intent to target the trade mark of an existing trade mark owner, their registration and offer for sale can comprise a bona fide offering of goods and services for the purpose of paragraph 4(c)(i) of the Policy. See also Fresenius Kabi S.A. v. Domain Manager, EWEB Development, Inc., WIPO Case No. D2018-0491. The fact that the Respondent responded to the Complainant’s enquiry to purchase the disputed domain name is not improper and does not make its use of it illegitimate. Lastly, the Respondent says that the disputed domain name has not been registered or used in bad faith. The fact that the Respondent registered the disputed domain name approximately ten years before the Complainant registered its trade mark in the USA and Canada means that it cannot be said to have registered it in order to sell it to the Complainant. If a domain name is registered before a complainant’s trade mark rights accrue, panels will not normally find bad faith on the part of a respondent. See Insight Energy Ventures LLC v. Alois Muehlberger, L.M.Berger Co. Ltd, WIPO Case No. D2016-2010, where the complainant provided no evidence that the respondent was, or should have been, aware of the complainant at the time it registered the domain name and accordingly there was no finding of bad faith. The fact that the Respondent sought to sell the disputed domain name for a sum in excess of its out of pocket costs is not in itself, sufficient to find that the domain name was registered in bad faith; see Information Tools Limited v. Future Media Architects, Inc., WIPO Case No. D2017-2178. Furthermore, in the absence of bad faith, seeking a high price is not inherently objectionable; see Informa Business Information, Inc. v. Privacydotlink Customer 640040 / Domain Manager, Web D.G. Ltd., WIPO Case No. D2017-1756. Finally, the Respondent asks the Panel to issue a finding of Reverse Domain Name Hijacking (“RDNH”). The Complainant’s delay in taking action against the Respondent in the 12 years since the disputed domain name was registered raises the inference that the Complainant did not truly believe that the disputed domain name was registered or used in bad faith. There is no basis for the Complainant’s claim and the Complainant, through its representatives, should have known that. Any amount of due diligence would have shown that the Complainant could not prove two of the three requirements. This is a “Plan B” Complaint, intended to deprive the Respondent of a valuable domain name, the Complainant having failed to acquire it in the market. Complaints of this type are considered by panels to have been brought in bad faith; see TOBAM v. M. Thestrup / Best Identity, WIPO Case No. D2016-1990. The Complainant has produced a schedule containing full details of twelve trade marks it owns in a number of jurisdictions for the word DIGEL, including European Union Trade Mark registration No. 000043885 for DIGEL, details of which are provided above. For the purpose of satisfying paragraph 4(a)(i) of the Policy, it is not necessary for the Complainant’s trade mark to predate the registration of the disputed domain name (albeit, the mark cited above does so). 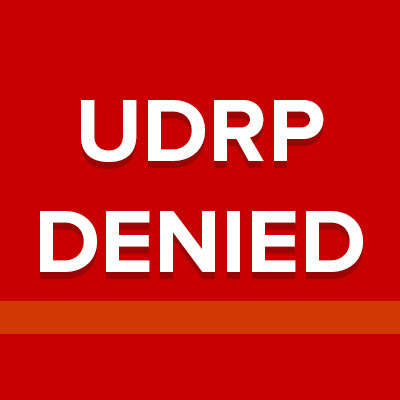 As explained at section 1.1.3 of the WIPO Overview of WIPO Panel Views on Selected UDRP Questions, Third Edition (“WIPO Overview 3.0”); “The fact that a domain name may have been registered before a complainant has acquired trademark rights does not by itself preclude a complainant’s standing to file a UDRP case, nor a panel’s finding of identity or confusing similarity under the first element”. Accordingly, the fact that the trade marks of the Complainant which the Respondent considers to be more material, postdate the registration of the disputed domain name is not relevant for this element of the Policy. When assessing identicality or similarity, the gTLD, that is “.com” in the case of the disputed domain name, is not taken into account as it is a technical requirement of registration. The Panel accordingly finds that the disputed domain name is identical to a trade mark in which the Complainant has rights. Section 2.1 of the WIPO Overview 3.0 explains that; “While the overall burden of proof in UDRP proceedings is on the complainant, panels have recognized that proving a respondent lacks rights or legitimate interests in a domain name may result in the often impossible task of ‘proving a negative’, requiring information that is often primarily within the knowledge or control of the respondent. As such, where a complainant makes out a prima facie case that the respondent lacks rights or legitimate interests, the burden of production on this element shifts to the respondent to come forward with relevant evidence demonstrating rights or legitimate interests in the domain name”. Paragraph 4(b) of the Policy sets out circumstances which, without limitation, if found by a panel to be present, shall demonstrate a respondent’s rights or legitimate interests to a domain name. The circumstance set out in paragraph 4(c)(i), on which the Respondent relies, is if a respondent has, before any notice to it of the dispute, used, or made demonstrable preparations to use, the domain name or a name corresponding to the domain name in connection with a bona fide offering of goods or services. The position of companies who register large numbers of domain names which are intended to comprise only generic or descriptive words, but whose registrations have also encompassed a domain name which is identical or confusingly similar to a complainant’s trade mark, has been considered in a number of decisions under the Policy. The points of note are as follows. First, as the Respondent has said, panels have consistently found that the registration of large numbers of domain names for the purpose of offering them for sale to third parties is not an inherently objectionable activity under the Policy (subject to the caveat below) and is capable of comprising a bona fide offering of goods and services. See, for example, Virgin Enterprises Limited v. Domain Admin/This Domain is for Sale, Hugedomains.com, WIPO Case No. D2017-1961; “The Respondent is a domainer which regularly registers domain names that include generic words for the purposes of selling them. Such business activities can be legitimate and are not in themselves a breach of the Policy, so long as they do not encroach on third parties’ trade mark rights”. Second, when such a business registers a domain name which corresponds with the trade mark of a third party, a determination of whether this specific registration should be considered as part of a bona fide offering of goods and services depends, on large part, on an evaluation of the respondent’s state of knowledge as at the time of registration. Specifically, was the domain name in issue registered by the respondent in the knowledge that it corresponded to the trade mark of the complainant and with intent to profit from that awareness or did the respondent have no knowledge (actual or constructive) of the complainant and its trade mark? See, for example, Deep Focus Inc. v. Doman Admin, Abstract Holdings International LTD, WIPO Case No. D2018-0518: “The Panel accepts that, where a party legitimately registers a domain name comprising commonplace or dictionary elements for sale, without intent to target the trademark of an existing trademark owner, then that offer for sale can give rise to rights or legitimate interests in the domain name as a bona fide offering of goods or services for the purposes of paragraph 4(c)(i) of the Policy. […] The question in this case, therefore, is whether the Respondent registered the disputed domain name in the knowledge of the Complainant’s trademark and with the intention of taking unfair advantage of the goodwill attaching to that trademark, or legitimately in the circumstances described above”. Third, when evaluating the parties’ respective contentions in this respect, it is material for a panel to have regard to all factors which might better inform it on the question of the respondent’s intent. As explained at Voys B.V., Voys United B.V. v. Thomas Zou, WIPO Case No. D2017-2136; “The key to whether or not the Respondent’s domain name business constitutes a bona fide offering of goods and services for the purposes of paragraphs 4(a)(ii) and 4(c)(i) of the Policy is the Respondent’s motivation in registering the domain names and, in particular, the Domain Name”. Section 3.1.1 of the WIPO Overview 3.0 provides guidance as to factors material to assessing a respondent’s intent, in respect of the third element of the Policy, bad faith. As indicated in Voys B.V., Voys United B.V (supra), these are also pertinent when considering paragraph 4(c)(i) of the Policy and are stated to include “(i) the respondent’s likely knowledge of the complainant’s rights, (ii) the distinctiveness of the complainant’s mark, (iii) a pattern of abusive registrations by the respondent, (iv) website content targeting the complainant’s trademark, e.g., through links to the complainant’s competitors, (v) threats to point or actually pointing the domain name to trademark-abusive content, (vi) threats to ‘sell to the highest bidder’ or otherwise transfer the domain name to a third party, (vii) failure of a respondent to present a credible evidence-backed rationale for registering the domain name, (viii) a respondent’s request for goods or services in exchange for the domain name, (ix) a respondent’s attempt to force the complainant into an unwanted business arrangement, (x) a respondent’s past conduct or business dealings, or (xi) a respondent’s registration of additional domain names corresponding to the complainant’s mark subsequent to being put on notice of its potentially abusive activity”. The Complainant’s brief submissions make no specific assertions as to the Respondent’s knowledge of its DIGEL trade mark as at the date of registration. However, none of the factors outlined above appear to be present to support an argument that the Respondent was not using the disputed domain name as part of a bona fide offering of goods and services. Moreover, the Respondent has asserted a positive case that it neither knew, nor had any reason to know of, the Complainant or its DIGEL trade mark at the time it registered the disputed domain name and that the Complainant has failed to produce any evidence to show the extent of its fame outside of Germany as at that date. Furthermore, the Respondent has supported its claim that the disputed domain name was registered because it was aware that numerous parties might be interested in acquiring it, by providing many examples of potentially interested buyers. The Panel accordingly finds that there is no basis for finding that the Respondent knew, or could reasonably have been expected to know, of the Complainant or its rights in DIGEL as at the date of its registration of the disputed domain name in 2006. The Respondent’s assertion that it registered the disputed domain name because it might be of interest to multiple parties is credible.  Having regard to the general approach of previous UDRP panels to this issue, as outlined above, its registration and offer for sale of the disputed domain name is considered to comprise a bona fide offer of goods and services. The requirements of paragraph 4(a) of the Policy are cumulative and the Complainant’s failure to satisfy paragraph 4(a)(ii) of the Policy is determinative of the outcome of this Complaint. However, the Panel will briefly consider the parties’ assertions in respect of bad faith registration and use. The Complainant has asserted that bad faith should be found under paragraph 4(b)(i) of the Policy, that is that the disputed domain name was registered by the Respondent primarily for the purpose of selling, renting, or otherwise transferring the domain name registration to the Complainant or a competitor of it, for valuable consideration in excess of the Respondent’s documented out-of-pocket costs directly related to the disputed domain name. If the Respondent was unaware of the Complainant and its DIGEL trade mark as at the date of registration of the disputed domain name, as the Panel has found, it follows that the Respondent cannot have registered or acquired the disputed domain name for the purpose of selling or transferring it to the Complainant or a competitor of it. For that reason, the fact that the Respondent was plainly seeking in negotiations a sum in excess of its out-of-pocket costs directly related to the domain name does not assist the Complainant. None of the other circumstances which are, without limitation, set out at paragraph 4(b) as pointing to bad faith registration and use, are either alleged by the Complainant or are of application on these facts. The Complainant has therefore also failed to establish that the disputed domain name was registered and used by the Respondent in bad faith. Paragraph 15(e) of the Rules provides that, if “after considering the submissions the panel finds that the complaint was brought in bad faith, for example in an attempt at Reverse Domain Name Hijacking or was brought primarily to harass the domain-name holder, the panel shall declare in its decision that the complaint was brought in bad faith and constitutes an abuse of the administrative proceeding”. RDNH is defined under the Rules as “using the UDRP in bad faith to attempt to deprive a registered domain name holder of a domain name”. Section 4.16 of the WIPO Overview 3.0 sets out a number of the circumstances which UDRP panels have considered as supporting a finding of RDNH. These include: facts which demonstrate that the complainant clearly ought to have known it could not succeed under any fair interpretation of facts reasonably available prior to the filing of the complaint, unreasonably ignoring established Policy precedent notably as captured in the WIPO Overview 3.0, filing the complaint after an unsuccessful attempt to acquire the disputed domain name from the respondent without a plausible legal basis and basing a complaint on only the barest of allegations without any supporting evidence. Moreover, as section 4.16 of the Overview 3.0 explains, some panels have held that a represented complainant should be held to a higher standard. This Complaint is particularly brief. In the absence of any evidence, or even argument, as to why the Complainant’s trade mark registrations in DIGEL or the overall repute of its brand in either Canada or the USA should have come to the attention of the Respondent as at the time of registration of the disputed domain name, it was almost certain to fail. Moreover, the Respondent asserts that this is a complaint brought after negotiations to acquire a domain name at a price a complainant found acceptable, had failed. The Panel notes, in particular, that a period of approximately twelve years elapsed following the registration of the disputed domain name, before the Complainant embarked on negotiations to purchase it, with nothing to suggest that the Complainant regarded it as an abusive registration, until its attempts to buy it were unsuccessful. Moreover, if the Complainant considered that its claim was within the ambit of the Policy, as applied by established Policy precedent, this is inadequately reflected in the skeletal content of the Complaint. The strategy of bringing complaints after commercial negotiations have failed has been considered as “highly improper” by a number of panels and contributed to findings of RDNH; see, for example, TOBAM v. M. Thestrup / Best Identity, WIPO Case No. D2016-1990, BERNINA International AG v. Domain Administrator, Name Administration Inc. (BVI), WIPO Case No. D2016-1811 and Informa Business Information, Inc. v. Privacydotlink Customer 640040 / Domain Manager, Web D.G. Ltd., WIPO Case No. D2017-1756. However, some of the indicia which are sometimes present when RDNH is found are absent in this case; the Complainant has not provided false evidence nor attempted to mislead the Panel. Moreover, the mere fact that a complaint is inherently weak does not, in itself, justify a finding of RDNH. Furthermore, the Complainant did have trade mark rights in DIGEL as at the time of registration of the disputed domain name, albeit not in jurisdictions where the Respondent was likely to encounter them. In Instrumentation Northwest, Inc. v. INW.COM c/o Telepathy, Inc., WIPO Case No. D2012-0454, the panel also considered a weak complaint coupled with a request by the respondent for a finding of RDNH and concluded as follows; “Finally, the Panel declines to find reverse domain name highjacking on this record, although a finding of RDNH could arguably be supported here. Be that as it may, after carefully weighing all of the circumstances of the case, the Panel chooses to interpret this Complaint as misguided inasmuch as it was doomed from the start and should not have been brought. There is no hard evidence, though, that Complainant was ill motivated in lodging the Complaint”. By a relatively narrow margin, the Panel finds this approach to be the more appropriate in these proceedings and makes the same finding. For the foregoing reasons, the Complaint is denied. The Panel denies the Respondent’s request for a finding of Reverse Domain Name Hijacking. 1 When considering the parties’ submissions, the Panel has taken into account the position of the named Respondent as well as that of Level2 LLC and its predecessor company. For ease of reference, save where the context otherwise requires, the term “Respondent” in this Decision refers to all these parties.